Tassel jewelry is a trend growing in popularity. Cute DIY created a video tutorial that shows how to create a tassel from fabric instead of leather or thread. Imagine the tassels you can make with fabric in a variety of prints and colors. 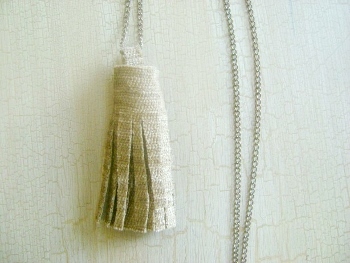 Follow the tutorial an in a matter of minutes you can have your own Fabric Tassel Necklace.